Curry Tree also known as Murraya Koenigii is popular with locals for adding flavour to Curries. 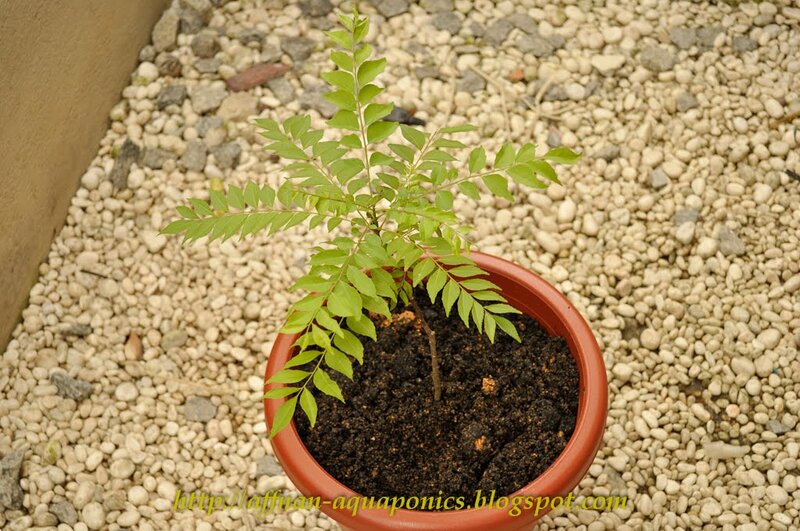 I have one small curry tree its been sitting without much attention for almost eighteen months in my Aquaponics growbed. 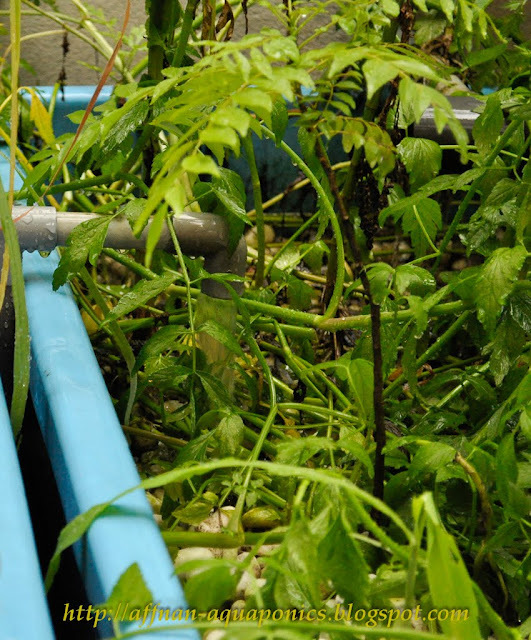 Shifting from one bed to another, its not doing well in growbed. I put it there merely to ensure its don't die off, until I can figure out where to plant it permanently. This particular Curry tree is very special to me, I took it from my mum's place and every time I look at it, it remind me of my mum.. that is priceless. I redo it in plastic pot, let it recover and after few months I'll transplant it on ground where it will do well. OK that's my mum's curry tree.